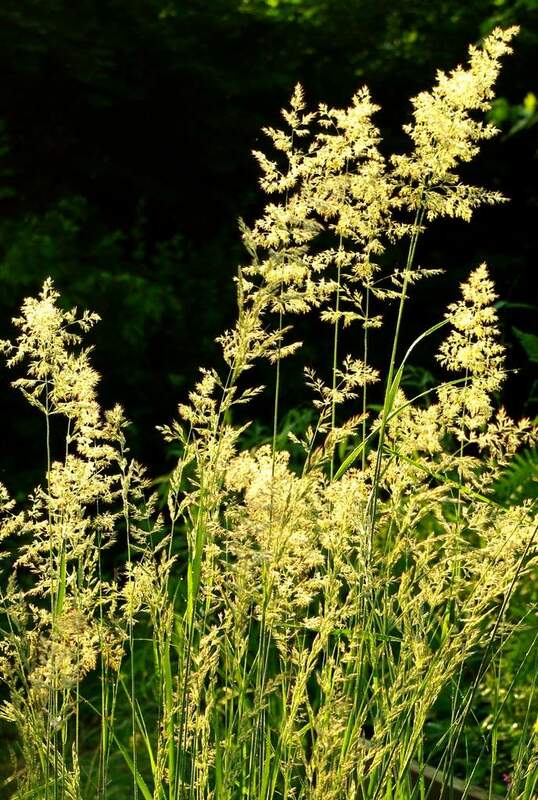 I really love grasses... for the most part. 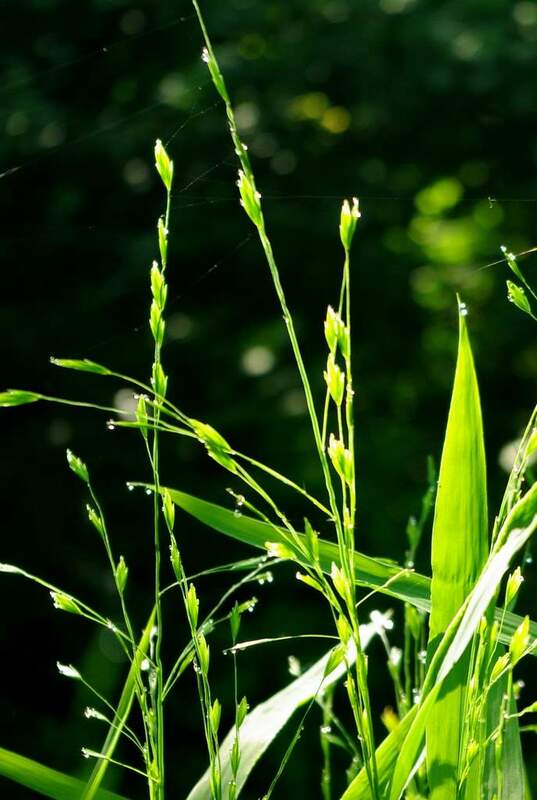 I've got several different ornamental varieties, many native species, turf grasses, and don't forget the bamboos -- they're in the same family as grasses. I especially love the way they look in the morning, backlit by the rising sun. 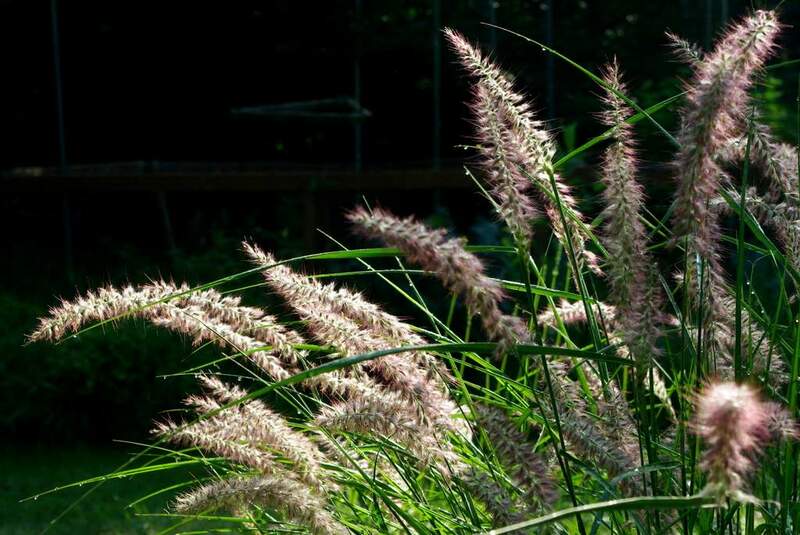 For the most part, grasses are one of the easiest plants to grow. 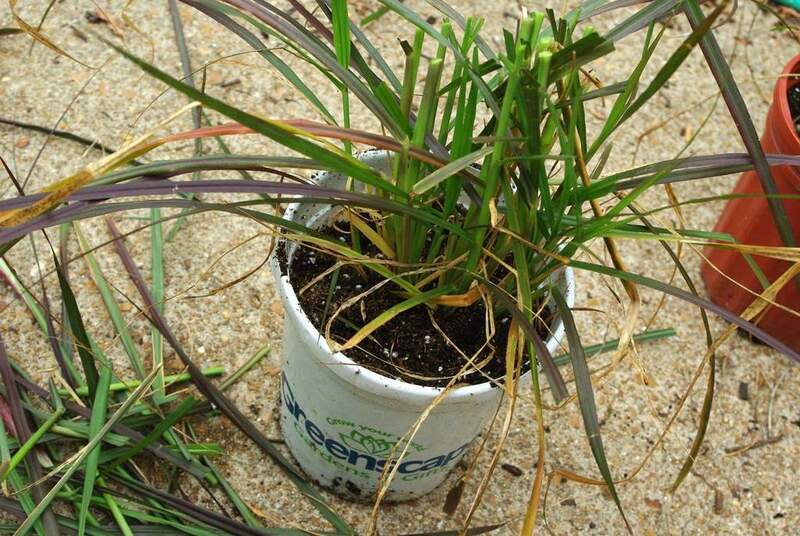 Most love full sun, can tolerate almost any soil types, and are quite drought-tolerant once established. Many of them also get to be fairly large, and make a dramatic statement in the garden, either as a specimen plant (the main, largest plant in an area), or in among other plants. 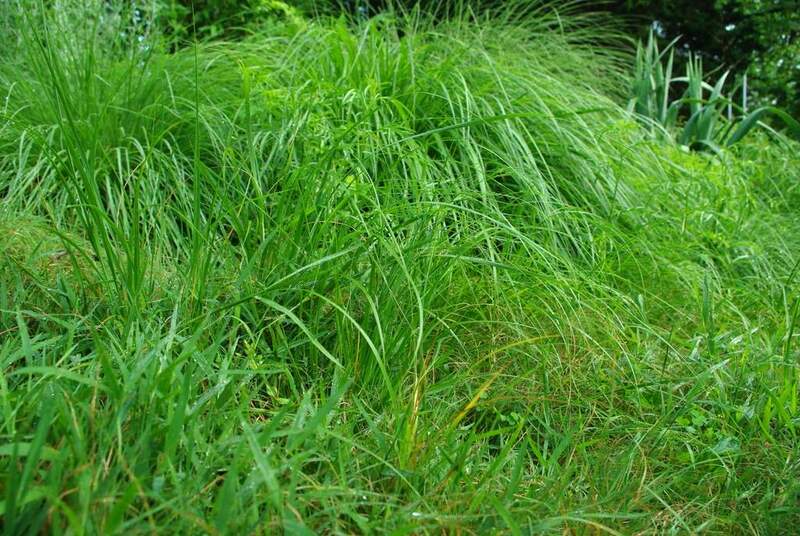 That photo is two years old, and shows several of the grasses in my "meadow" area. 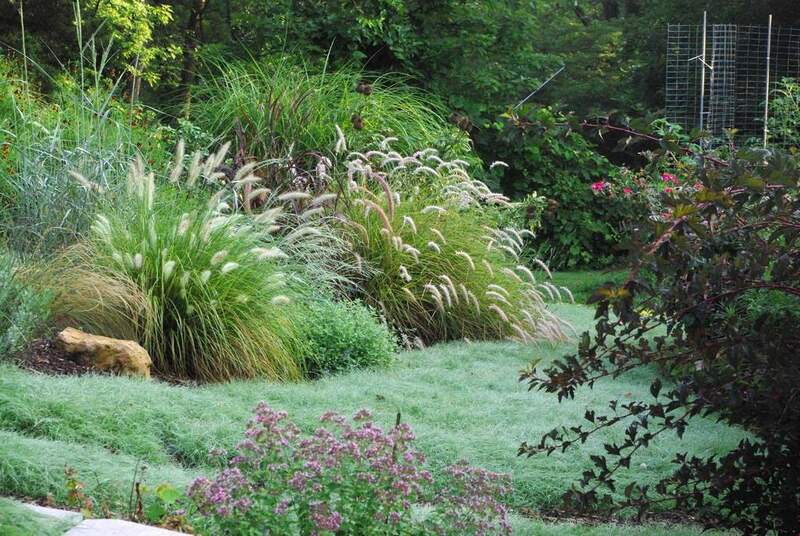 Pennisetum alopecuroides, Pennisetum setaceum 'Rubrum' (purple fountain grass), Pennisetum orientale 'Karley Rose', Miscanthus sinensis, Panicum virgatum (switch grass), plus the buffalo grass turf, and more. 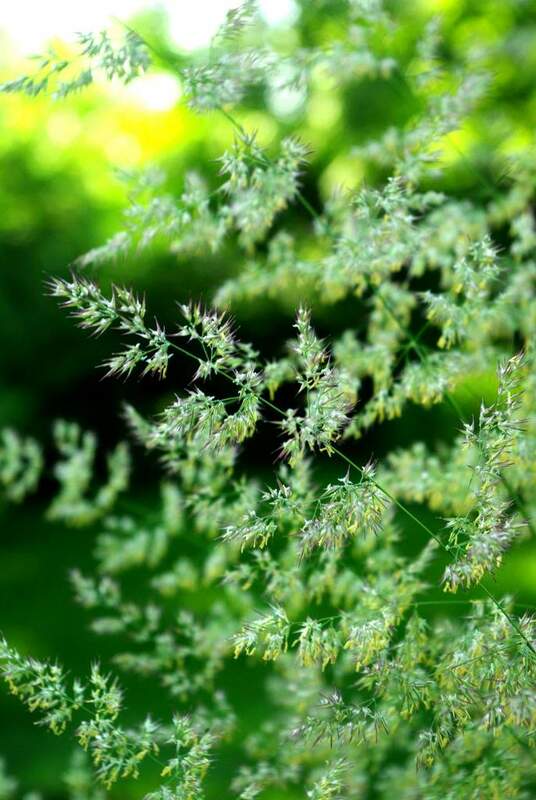 Another thing that I love about growing grasses is the way they move in the slightest breeze, giving motion to the garden. They're really difficult to kill, are not eaten in any noticeable way by deer, rabbits, or woodchucks, and are really easy to propagate (make new plants). I cut most of the growth off since there wasn't any roots and I knew it would be impossible for the plant to deliver water and nutrients to the existing plant. Once the roots grew I knew the top growth would follow. A week later and this pot already has roots coming out of the bottom! 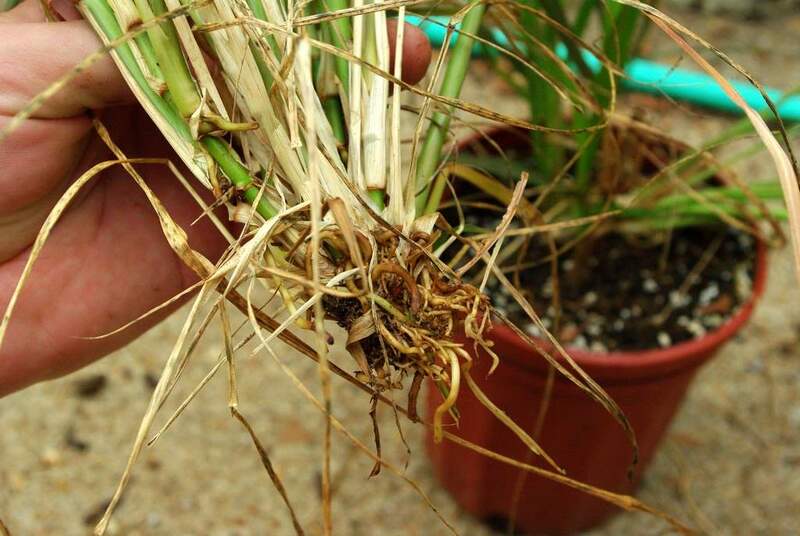 One drawback to ornamental grasses is they need to be cut down in late winter so the new growth can come in. 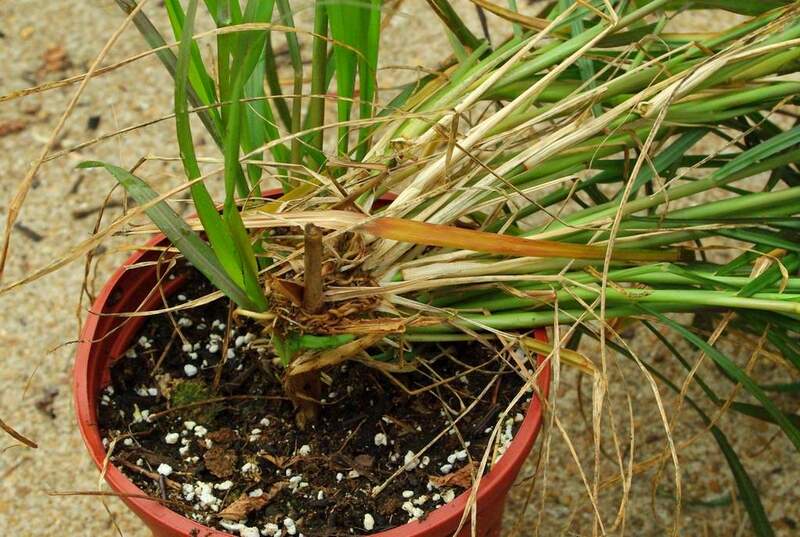 Strictly speaking you don't need to remove the old, dead stems and leaves, but the plant will not look nearly as good, as you'll have a mix of brown and green stems for most of the year. Needless to say that cutting these plants back can be a lot of work if you have more than a couple of grasses, but since it happens at a time of year when there's not too much else going on in the garden it's actually not too bad -- at least in my opinion. 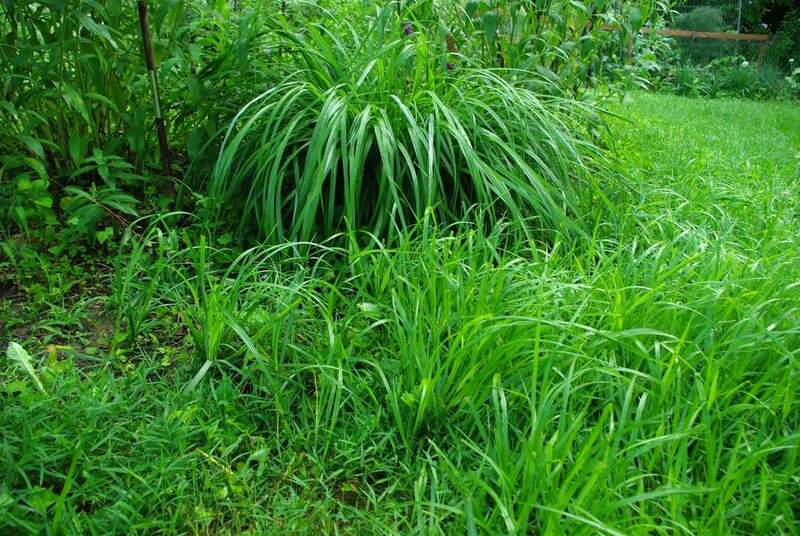 These are seedlings from 'Moudry' fountain grass, which you can see in the middle there. 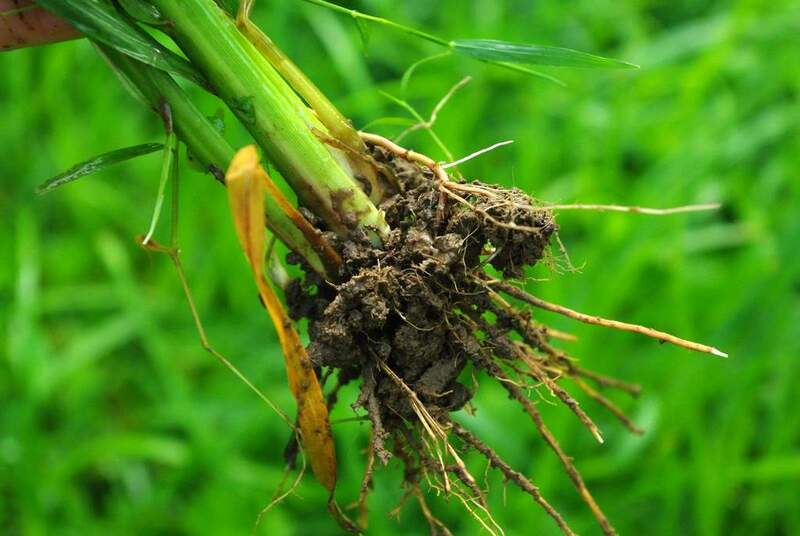 It's produces great-looking black "flowers", but it seems just about every one of these seeds will germinate and produce a thick-stemmed, deep-rooted plant. The seedlings can get large pretty quickly. I've got a lot of these in the area around this plant even though I've been cutting off the flowers before they have a chance to drop any seeds for the last few years. I'm not sure if these are old seeds that have just broken dormancy, or if they're new seeds that were dropped despite my efforts. 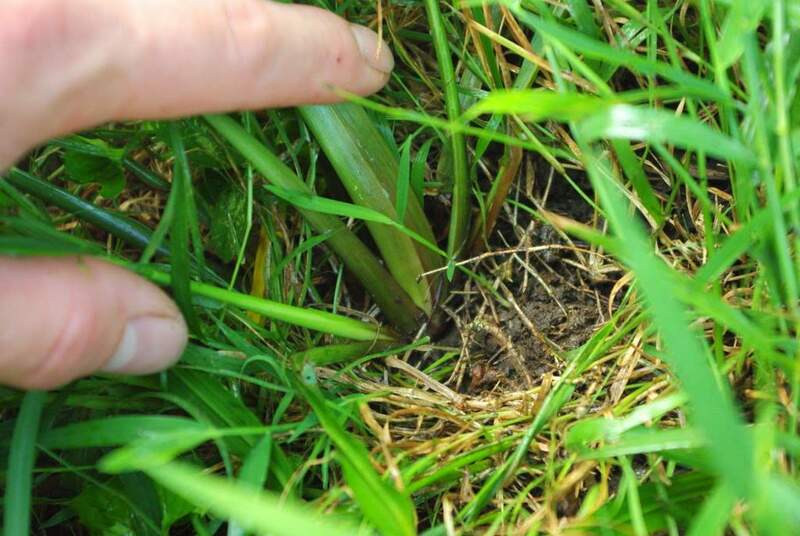 Pulling or digging dozens of these seedlings makes me sometimes wonder if it's worth the effort to grow these grasses. Just for a moment or two. So even though it can reseed and it takes some work to cut it down each year, I can't imagine a garden without ornamental grasses of some sort. Definitely one of my favorite plant families.